The very thought of getting home after a taxing day and snuggling on a well sized bed is so soothing, isn’t it? 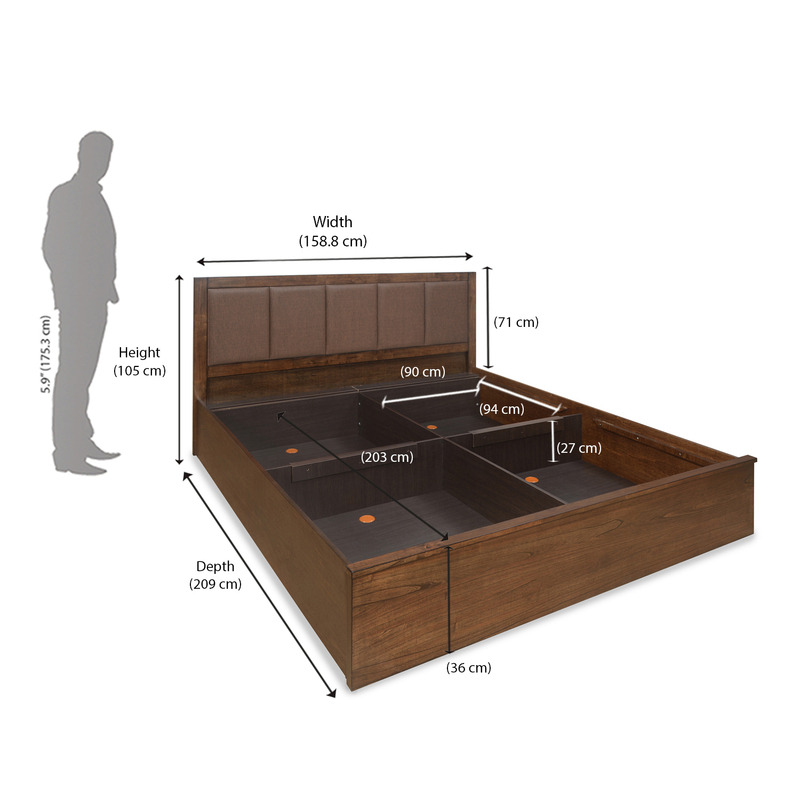 It’s just about to get better with the Jefferson Queen Bed that comes with compartmentalized storage space, for you to comprehensively stack up your belongings. The soft cushioned back rest is the cherry on the cake, making your evening just the perfect one. The Mindy Oak shade of the furniture will also accessorize the master bedroom elegance and poise. May you be all by yourself or with your loved ones; the queen sized magic will surely make you nap at ease while also tranquilizing your evening.